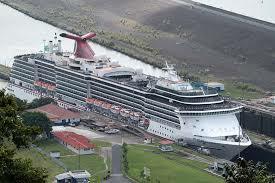 For any true seafaring explorer, the Panama Canal is a must-see destination. Dubbed “one of the seven wonders of the modern world” by the American Society of Civil Engineers, this 48-mile waterway divides two continents and connects two mighty oceans. Join Judy’s Leisure Tours, as we embark on what savvy world travelers consider the thrill of a lifetime: cruising ocean to ocean via the Panama Canal. Your journey through this engineering marvel involves a dozen locks in total. From the Pacific Ocean to Gatún lake, feel yourself being lifted through the locks of Miraflores and Pedro Miguel. Then, near the town of Gatú, feel yourself being lowered, ushered to that ocean on the other side of the world: The Atlantic. Holland America line brings you through the Panama Canal in grand style with options not found elsewhere. Our luxurious mid-sized ship glides through gracefully, each transit illuminated by an onboard historian who brings the past to life.